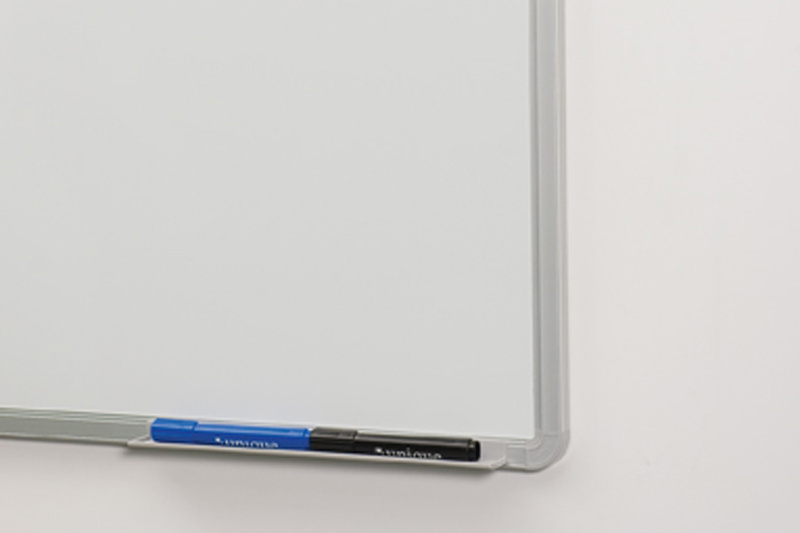 This high quality writing board has the ultimate dry wipe vitreous enamel steel surface which is guaranteed for 25 years. 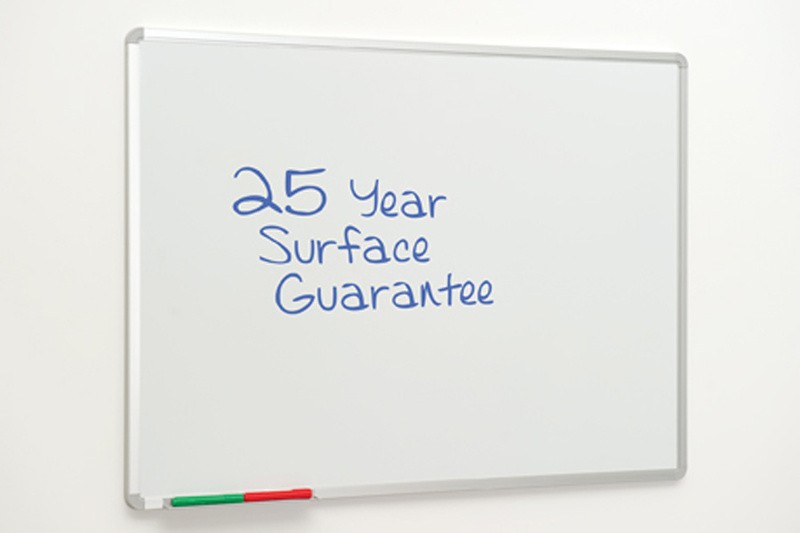 When using recommended pens the surface is free from pen ghosting. 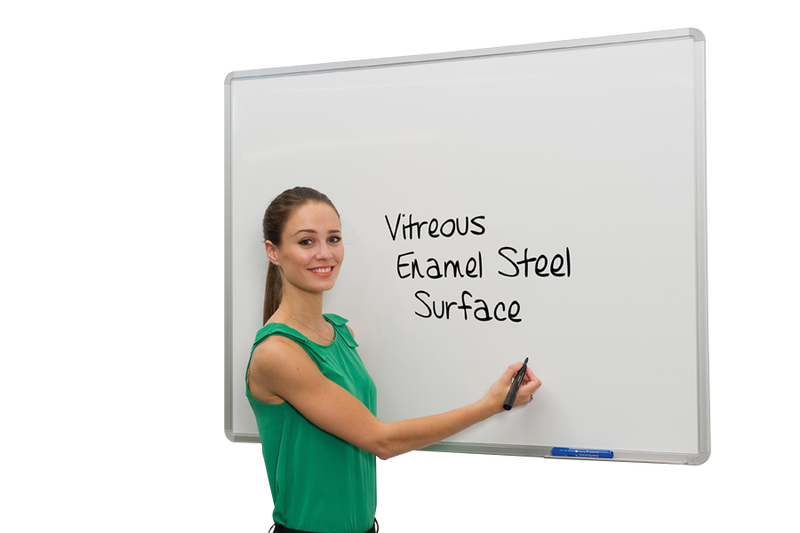 Available in 6 sizes, this whiteboard comes with a satin silver anodised aluminium frame with colour-related rounded corners. 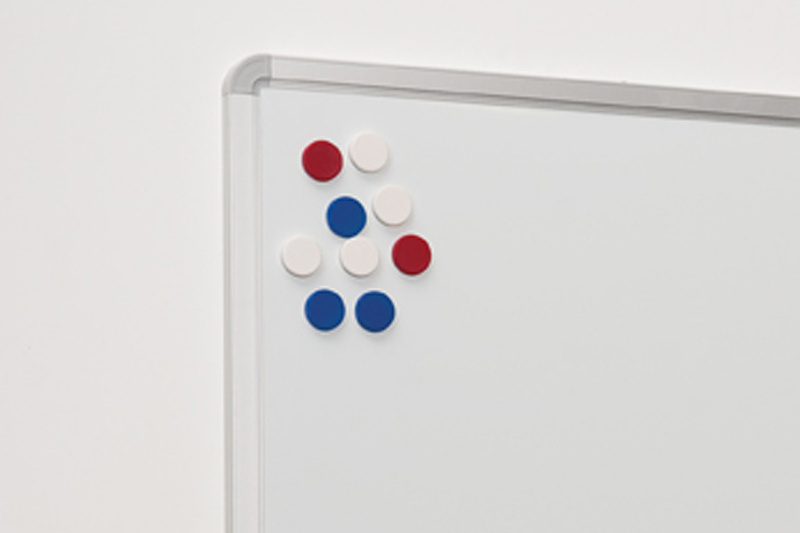 It has concealed corner fixings and can be wall mounted in either a landscape or portrait orientation. Pen ledge included. Ideal for use in classrooms in schools, pre-schools and nurseries.